The most effective solution for removing unwanted tattoos, by a multi award winning clinic. Our laser can be used on all skin types. Treatment time can vary from 10 minutes up to 1 hour. Laser tattoo removal works by breaking up the ink particles that are in the skin. 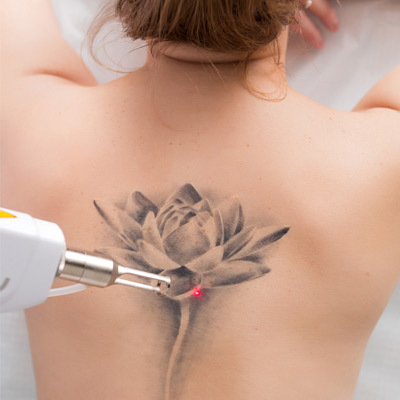 In traditional lasers, such as Q-switch, photothermal action is delivered to the pigment of the tattoo, as well as the surrounding tissue, to break up the ink particles into smaller particles. These smaller ink particles are much more easily removed from the body through the immune system. The treatment causes clients minimum discomfort, the sensation varies but is often described as a ‘flick of an elastic band’. We ensure that all discomfort is minimized for our clients, and we offer cold air cooling and topical numbing cream to clients to numb the area affected. Any pain relief treatment options can be discussed with your aesthetician. 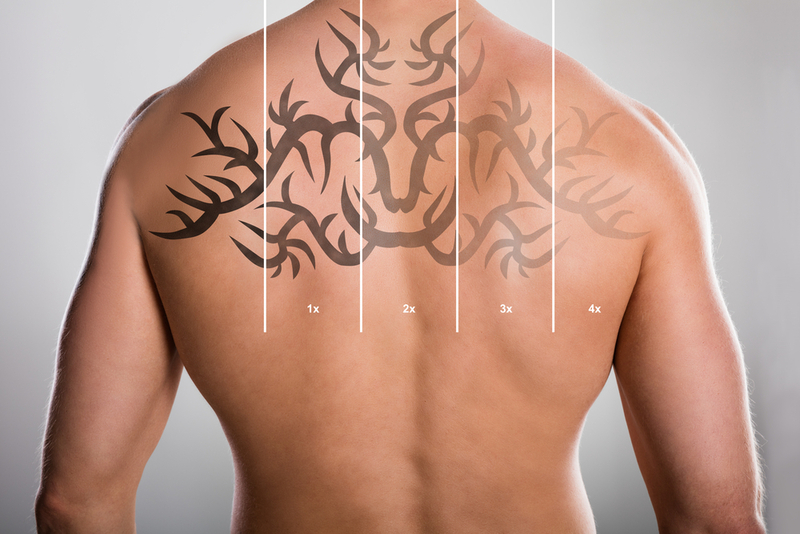 How fast you will see results depends on the colour and complexity of the tattoo, as well as other factors such as age, skin type and the chemical composition of the tattoo. The depth and density of the ink can also affect the speed of results. During your consultation your aesthetician will give you an estimate of how many treatment sessions will be required to remove your tattoo. On average it will take 4-10 sessions.